We are a transport company aimed at providing an executive and Luxury travel service in the Home Counties and Oxon. We make your journey effortless and take the stress out of getting to/from events with the exceptional service we provide. Don't delay and travel with us today! Knightliner Executive Travel currently holds a National licence. "Driver was early and a nice guy, and the bus was comfortable. I will definitely use the company again!" "The driver was over 45 minutes late. Was told it was a 22 seater coach but only housed 20. No apology or anything about lateness ruined the event"
"Hi Craig, Sorry if Knightliner Executive Travel didn't meet your standards. The driver was late which is unacceptable but it was reasons beyond our control. The online form you filled in you wrote that a vehicle was needed for 20 people. You were messaged the day before if there were any luggage requirements to which you said yes. The vehicle has no boot so 2 seats were removed to provide space for the sports bags. For future reference, when you book a vehicle with any company you must communicate if there will be any changes in passenger numbers as we have the perogitive to put a smaller vehicle on to fit the passengers numbers originally quoted for. The driver did communicate with you in advance when he had realised the delays would affect the pickup time. He also has told me that he apologized to one of the team coaches when unloading the luggage." "The driver was prompt, polite and patient. He drove safely and directly to the venue and was where he said he would be parked for the return journey home. Knightliner Executive Travel was the cheapest quote and we didn't compromise on service. The vehicle was impeccably clean too. A very professional service - from initial booking, to payment, to transit. Would highly recommend them to friends and colleagues." "Excellent service from first to last. Our driver (David) was punctual, courteous, friendly and helpful - and a very good driver who seemed completely unfazed even when in Central London! And we traveled in a clean and comfortable coach. We'll certainly use Knightliner again." "Our driver Johnny was a legend - waiting for us at the allotted time and driving with care to and from our destination. The vehicle looked very smart and it was clean and spotless inside. Johnny coped with the noise level (a big group of ladies!) very well - will definitely be using this company again." "Everything ran smoothly, no problems at all. Would highly recommend!" "I would reccomend knightliner Exec Travel, the Driver was on time for both collection and pickup. He also did an extra drop off, and was accomodating with the passangers. The coach was comfy and clean." 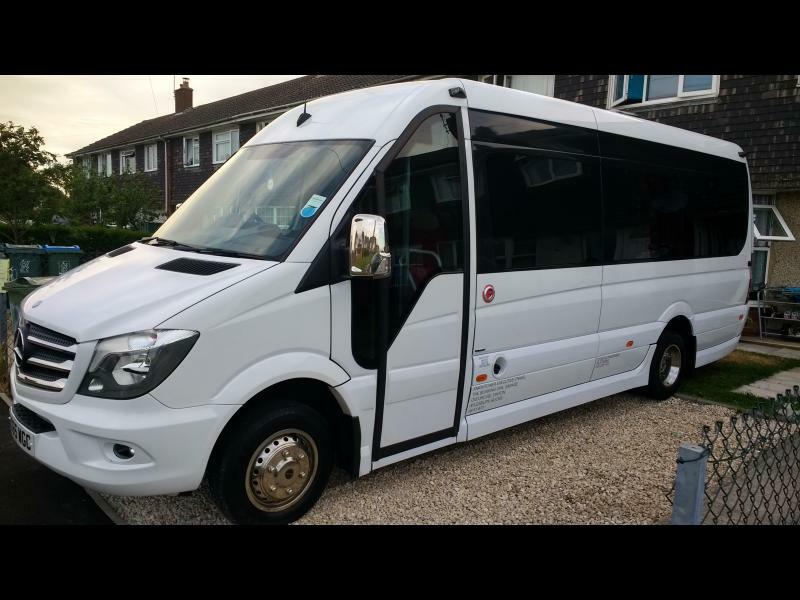 "Just like to thank the driver who was really helpful and even stopped at McDonald’s for us on the way back "
"The journey was really enjoyable. We were able to connect to the bluetooth and play all of our favourite songs! Tariq was really helpful and polite, and was there waiting for us for our return journey. The whole thing was great from start to finish and it made our night out for a group of 16 people perfect. Many thanks!"